Around December last year, I first visited this newly opened cupcake shop in Glorietta that is earning a buzz in the worldwide web right now. I blogged a sort of preview but never really got to post complete details because I didn't have the chance to dine in there. Last Saturday, we went to Glorietta to get myself new eyeglasses. 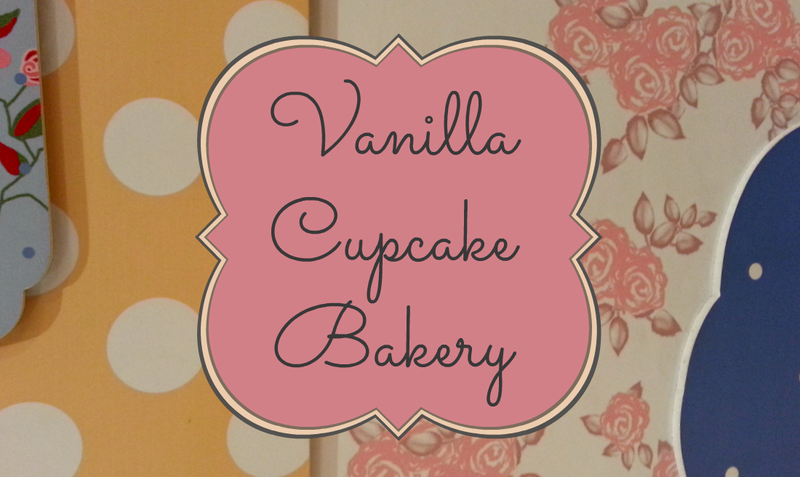 And since we still had to wait for an hour before we can pick up my new spectacles, we decided to go back to Vanilla Cupcake Bakery to try their other desserts. The place was so full that time we had to wait for dinner time (so people would leave lol) and after 30 minutes or so, the place was finally almost empty. You got these mismatched chairs and tables all over, colorful displays, marshmallows, teacups, colored straws and grand draperies all throughout their space. I love how they put pay attention to details. There's so much to see, you feel like a little child playing with your tea set. Or, because of the lavish, heavy drapes and intricacy in their design, you can't help but say repeatedly, "Let them eat cake!" ala Marie Antoinette. 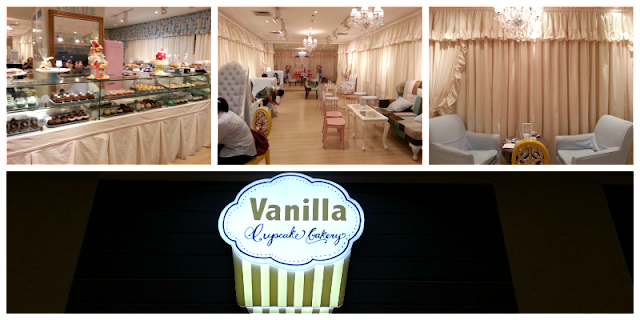 Even though the cupcakes were lacking the wow you're looking for, the ambiance of the store is enough reason for you to keep coming back. Chairs were mostly from Heima and Daphne. The Red Velvet Cake was not that far from it's cupcake counterpart (no surprise there). But I have to say the frosting was better. You can actually taste the cream cheese and the sweetness is not that overpowering. A slice is huge, it's good for sharing. The cake was dense but not moist, it felt like it was refrigerated for too long. The boyfriend totally loved the Oreo Cheesecake (PhP 95). I was able to have a bite and surprisingly, the cheesecake filling was good. I thought it was pretty good because for the first time I didn't taste any sweetness that was dominating. The boyfriend later told me that the Oreo crust was really sweet. Oh, okay. My last pick was the Mango Panna Cotta (PhP 70). I really like this one. The mango chunks and mango puree (I assume) on top was perfect and refreshing. The panna cotta was not as creamy as I expected but I loved it nonetheless. It was smooth, the fruits chunks were perfectly sweet. I hope this one becomes a best seller in summer! It was too cute, it was served in a clear jar tied with a pink bow. You should definitely try this. If you're curious what the buzz is all about, go ahead and try it. 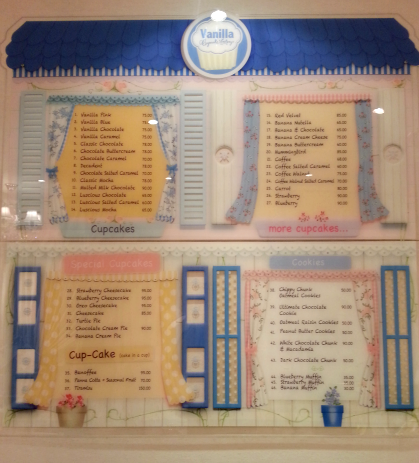 For lovers of sweets, it's worth the try. 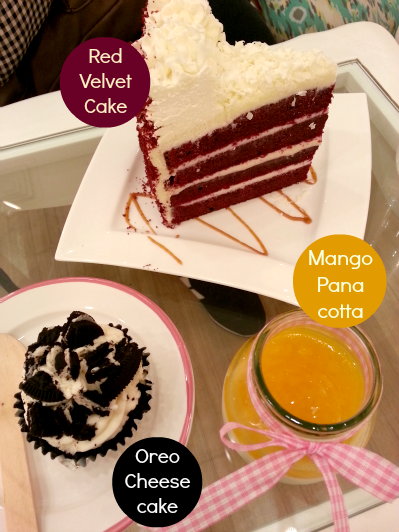 Not every item on the menu is a hit but there are a few great pastries you'd definitely love!